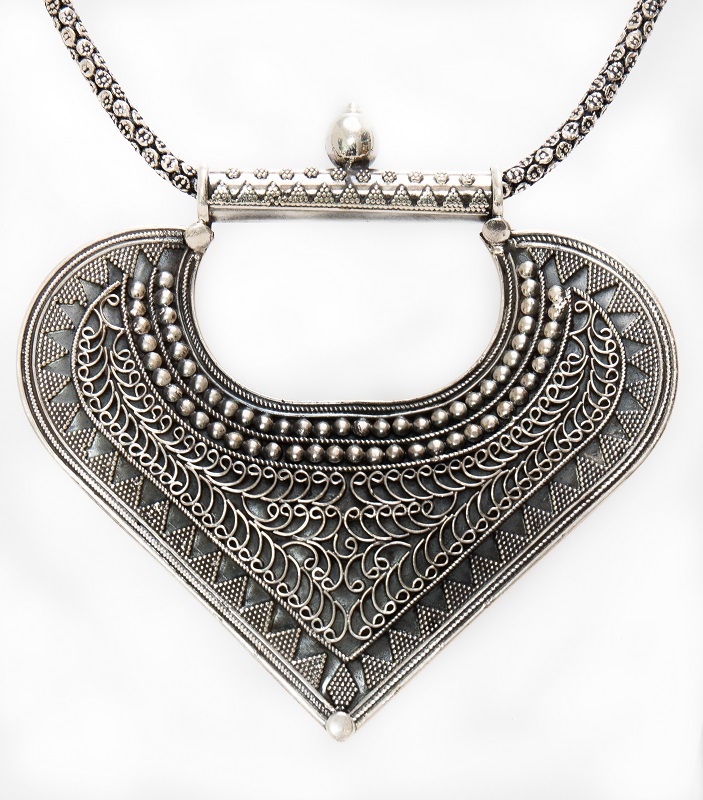 Big and bold ethnic style sterling silver pendant. It is shown here on a 19 inch chain which is available for purchase separately at a cost of 54. Please contact us for further details about the chain. Clean regularly with a silver polishing cloth to avoid the build up of damaging tarnish.